Mahdi Kazempour (born 1989 in Tabriz, Iran) received the B.Sc. degree in electrical and electronics engineering (EEE) from Sharif University of Technology, Tehran, Iran, in 2011, and M.S. degree in EEE from Bilkent University, Ankara, Turkey, in 2014. He served for Bilkent University and Bilkent University Computational Electromagnetics Research Center (BiLCEM) as a graduate teaching and research assistant during his graduate studies. His master thesis includes developing algebraic acceleration techniques and algorithms for the solutions of electromagnetics problems involving large and complicated structures, integral equations, iterative methods, and high-performance computing. 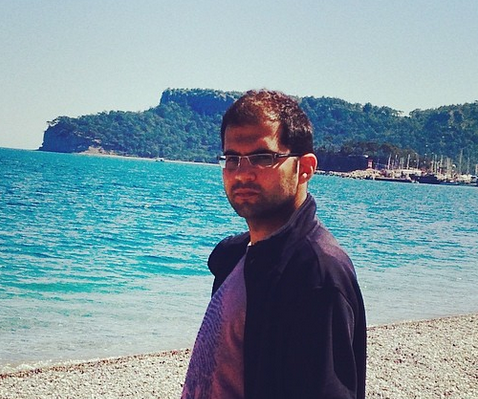 He joined Optical Microsystems Laboratory (OML) at Koç University in August 2014. He works on developing next generation wearable and 3D display technologies during his Ph.D. studies at OML under the supervision of Prof. Dr. Hakan Urey.